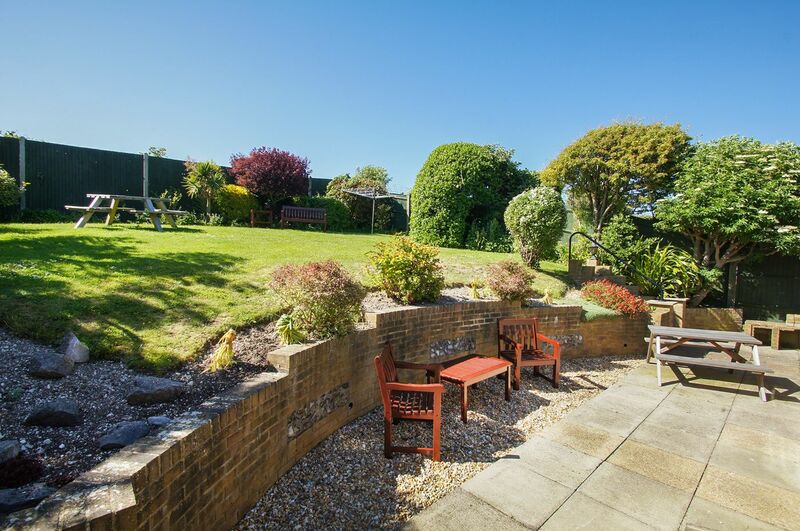 Dean Court Garden has secured a 4-Star rating for the 14th consecutive year. It's also been awarded a Gold Award for Quality and Standard of Accommodation for the 4th consecutive year by VisitEngland. 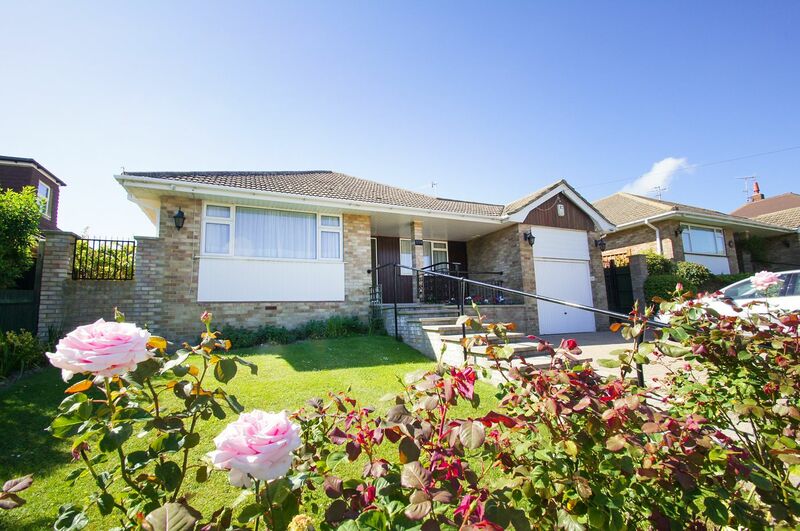 Spacious three bed bungalow sleeping up to six people set in the picture postcard coastal village of Rottingdean within the City of Brighton & Hove. Approximate 10 minute drive or taxi ride from Brighton Center. 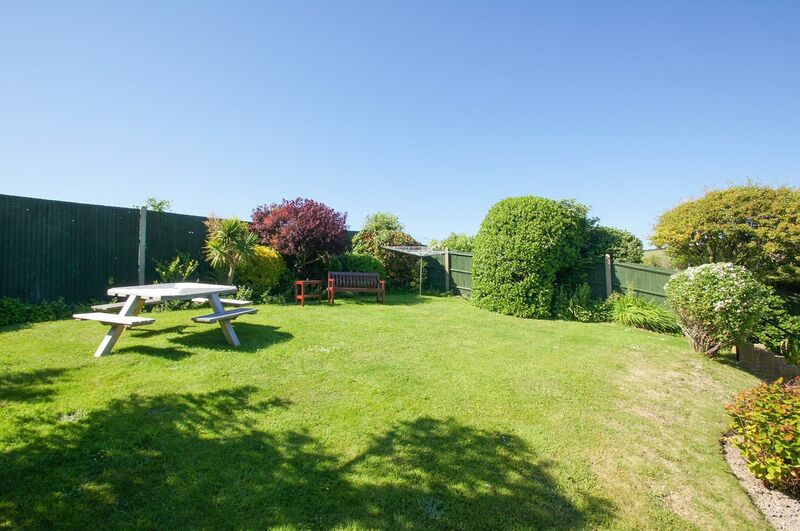 Off-street parking, wheel chair accessibility and a gorgeous peaceful garden makes this a family favourite. 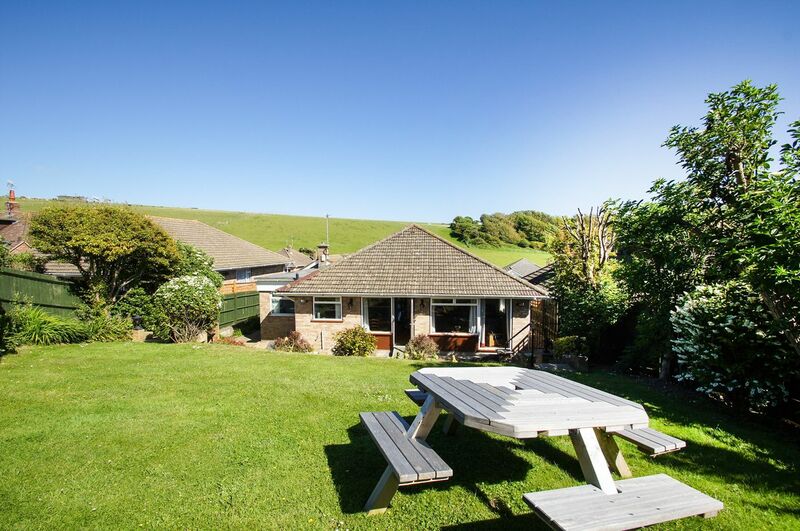 This relaxing bungalow has been awarded 4 stars by Visit England and has been awarded the Gold Standard for excellence in accommodation and services. 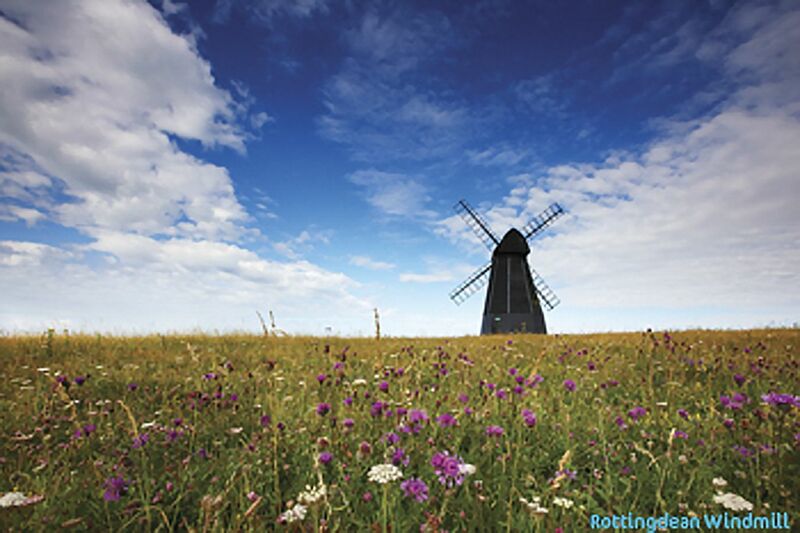 Rottingdean is a peaceful picture postcard coastal village within the City of Brighton & Hove just a short 10 minute drive from Brighton city center. 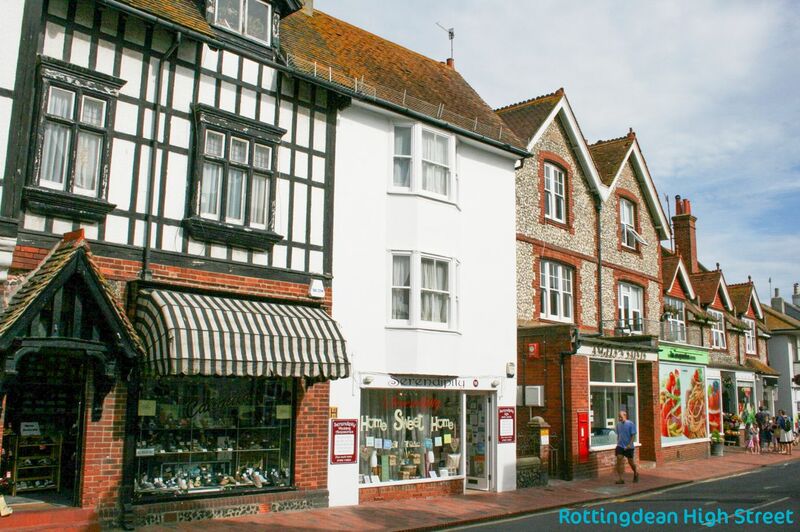 Discover Rottingdean's warm friendly atmosphere with quaint tea rooms, cottages & antique shops. 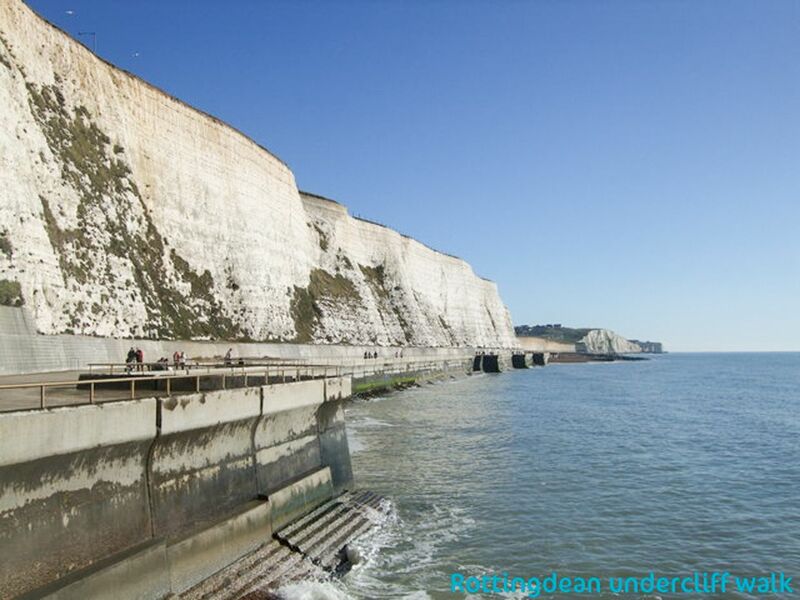 Enjoy the coastal under-cliff walks, rugged shoreline and pebble beach. 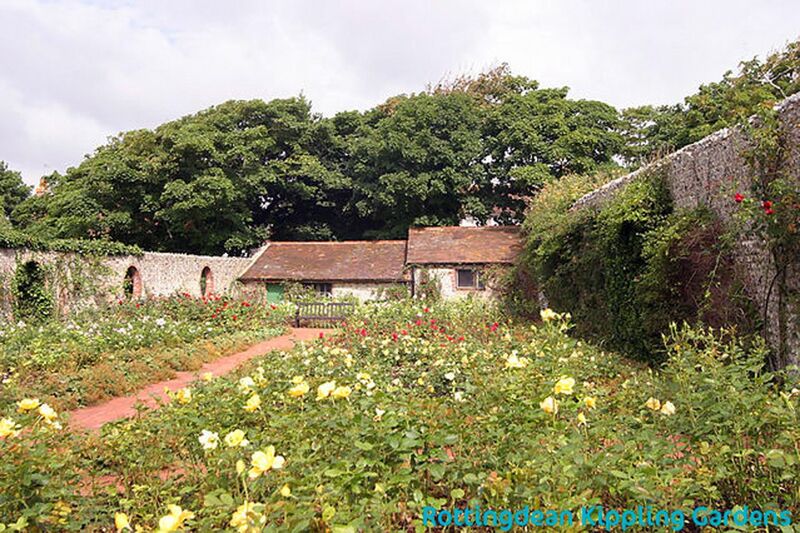 At the heart of Rottingdean is the Green and famous Kipling Gardens where Rudyard Kipling wrote some of his most famous works. With Brighton on your doorstep you have the best of both worlds! 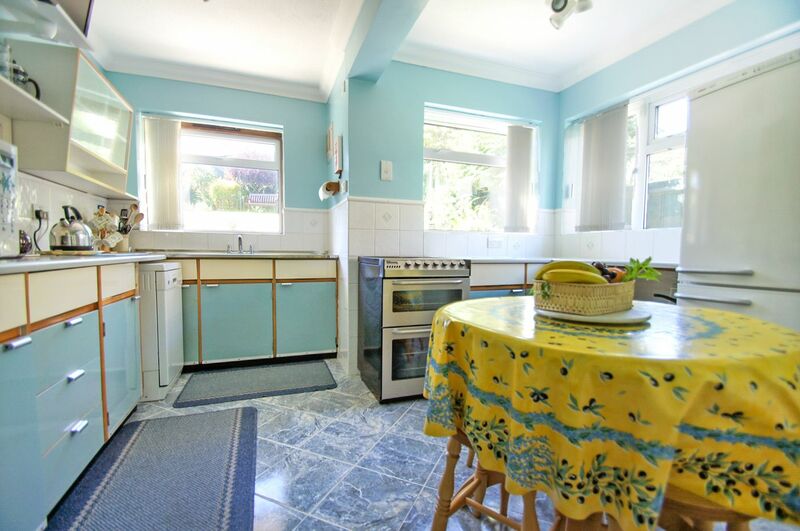 The kitchen is well equipped with microwave, dishwasher, four ring electric hob, tall standing fridge freezer and round table with stools. There is even a wall mounted TV. 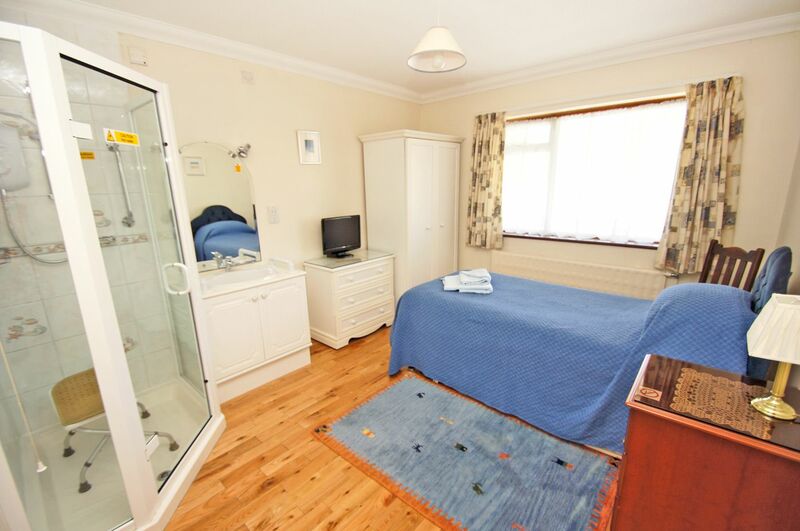 You can access the garden via the back door and there is also another door to a utility room with washing machine. 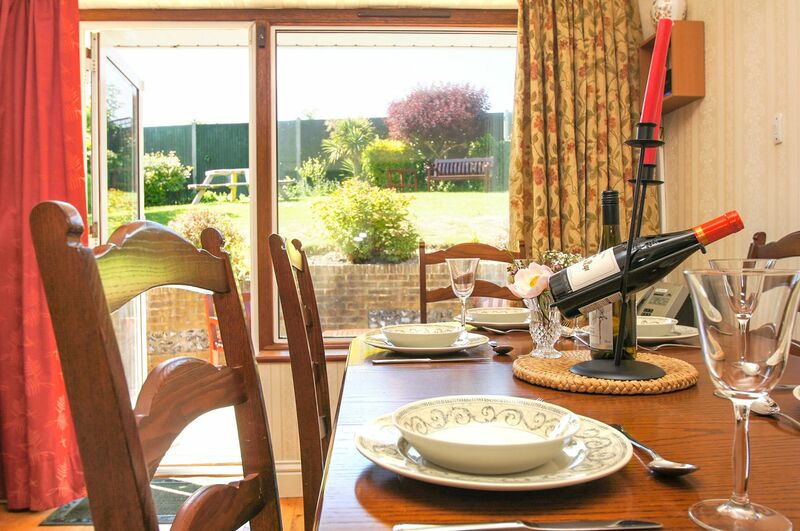 The dining area is lovely and light thanks to the door and large window leading to the garden. 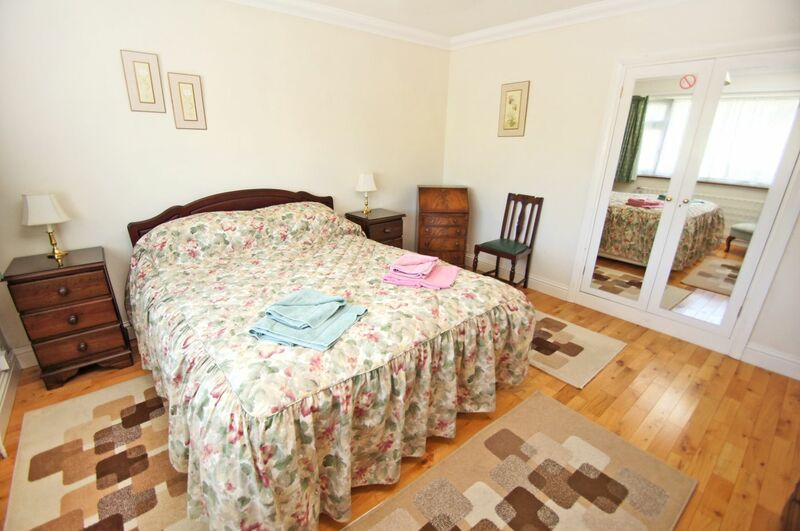 The wooden table can comfortably seat six and there is a small serving hatch to the kitchen. 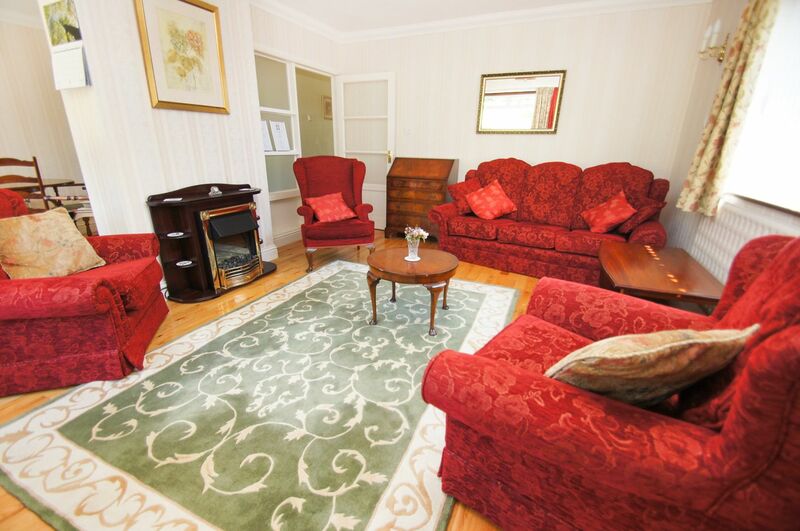 You can't help but sit back and relax in this homely lounge with its 3 arm chairs and 3 seater sofa. 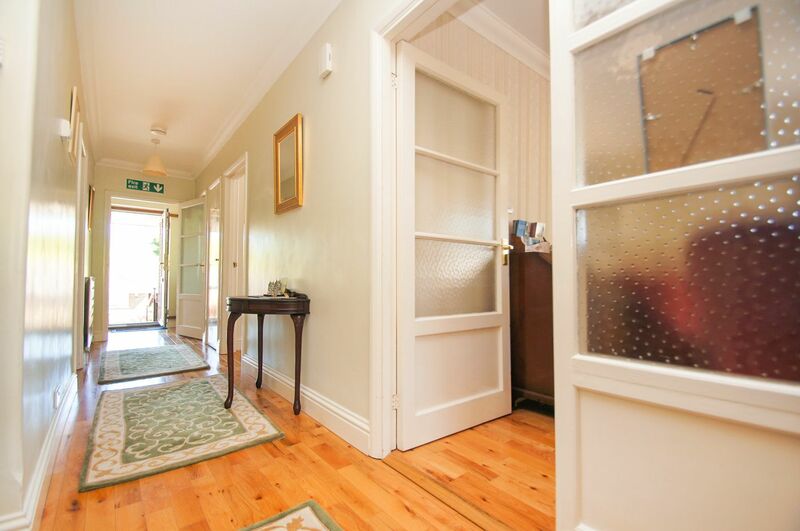 The lounge has an open walk way to the dining area. 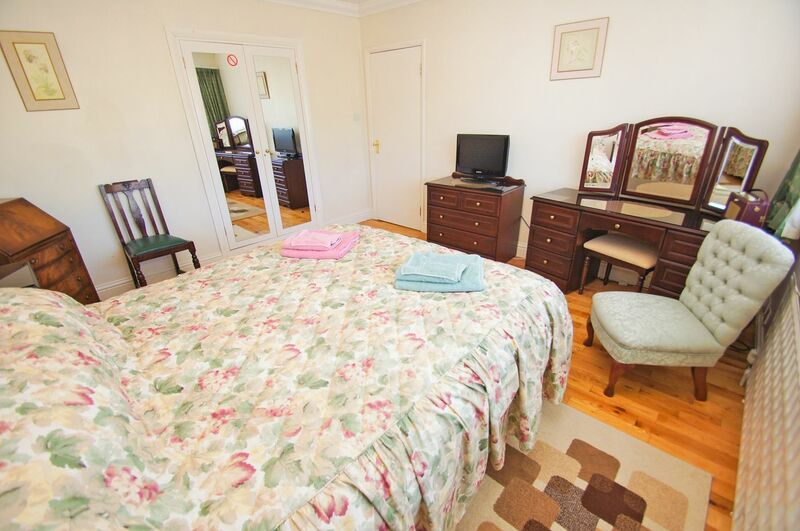 The master bedroom at the front of the bungalow has a king size bed with bedside tables and lamps. 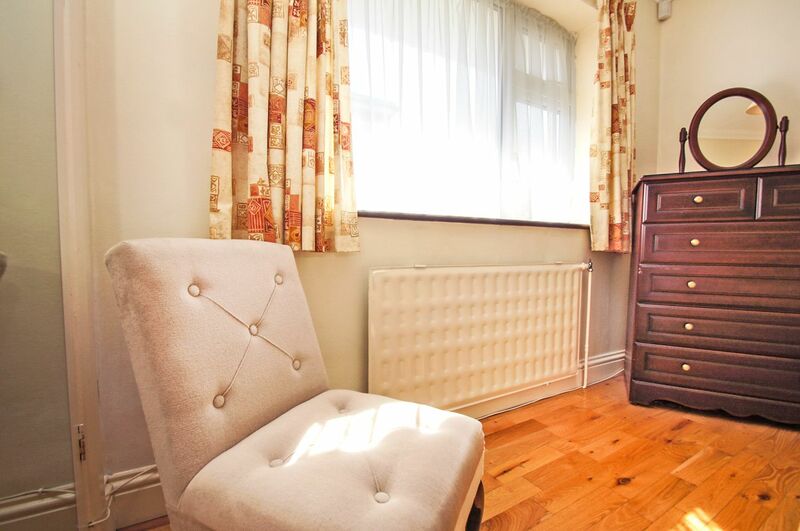 There is a dresser with mirror and a TV on the chest of drawers. A built-in mirrored wardrobe completes the room. 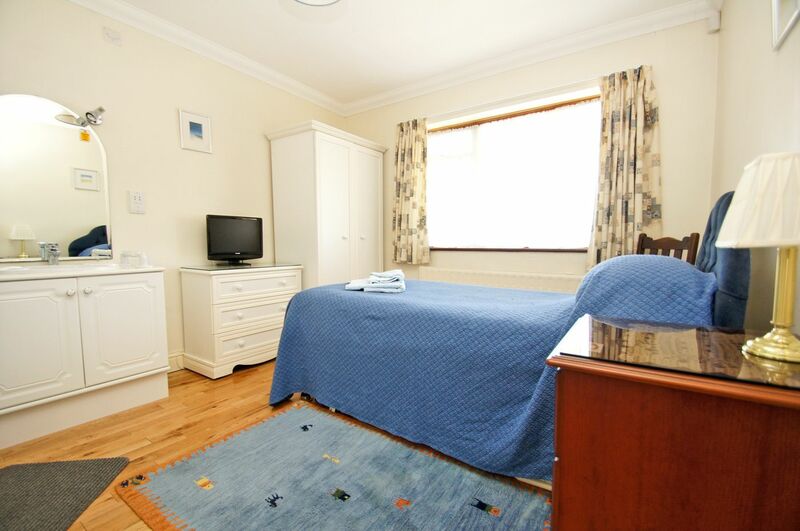 Tastefully decorated twin room with a tall set of drawers, bedside table with lamp, mirrored built-in wardrobe and wall mounted TV. 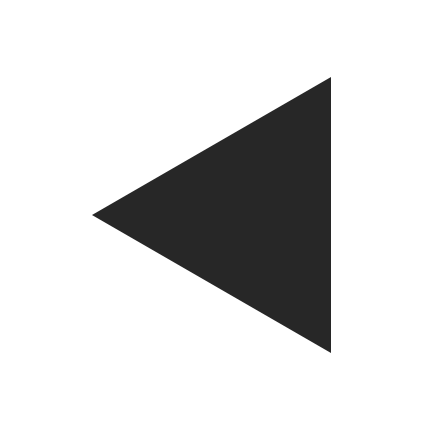 Typically arranged as a single room, there is another single z-bed if required. 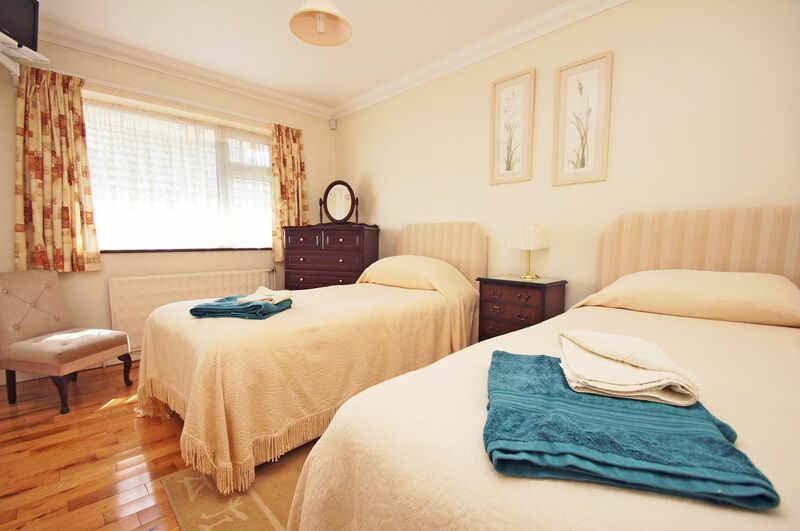 You will find a TV, white set of drawers and wardrobe along with a bedside table and lamp.The bedroom benefits from a shower cubicle with hand rail supports and stool to aid with mobility and a separate sink. 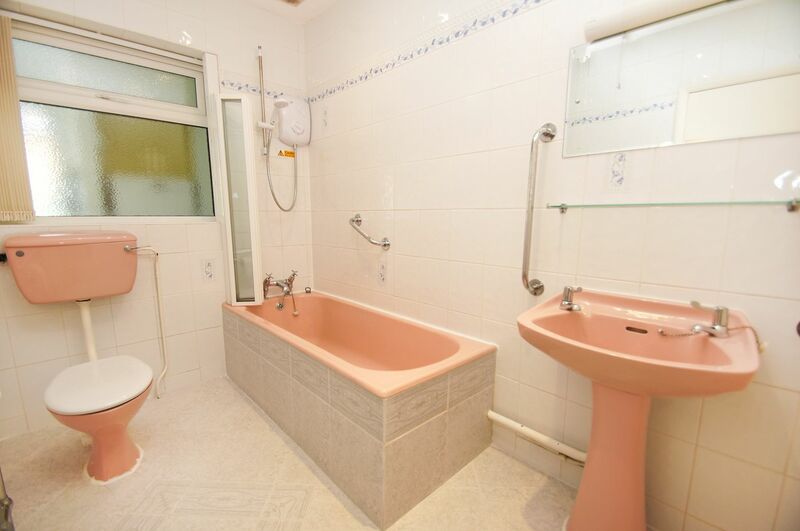 Bath with shower overhead, WC and sink with supporting hand rails throughout. There is a separate WC next to the bathroom for your convenience. 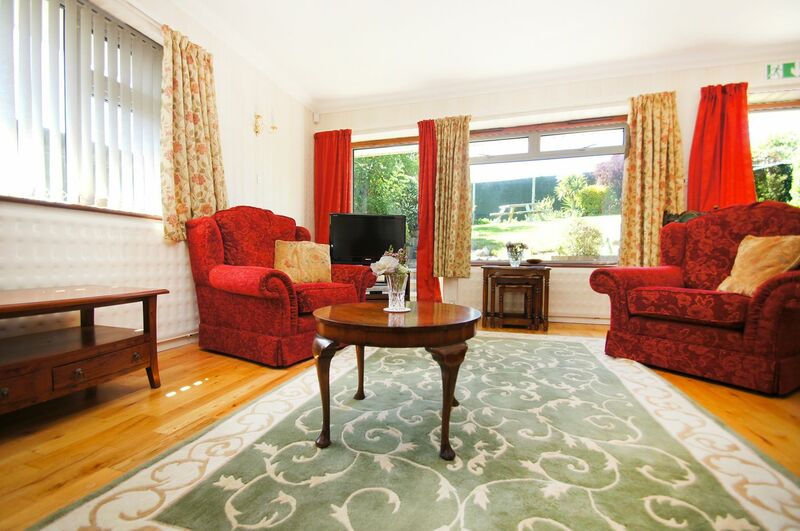 The patio with bench, chairs and tables runs along the length of the bungalow. 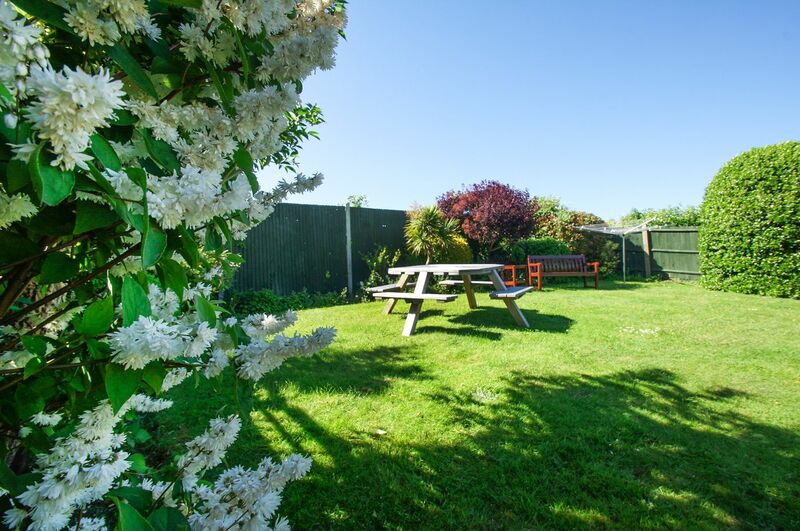 The secluded, spacious garden is raised behind the patio and overlooks farmland and the lovely Sussex countryside. 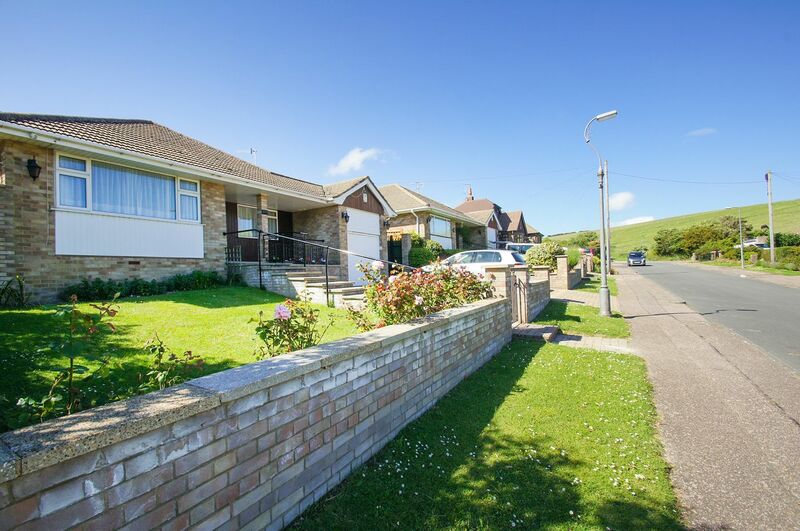 The historic, coastal village of Rottingdean lets you have the best of both, with the City of Brighton a 10-15 minute drive away. For those without a car there are buses that run from the White Horse Hotel into Brighton every 8 minutes. 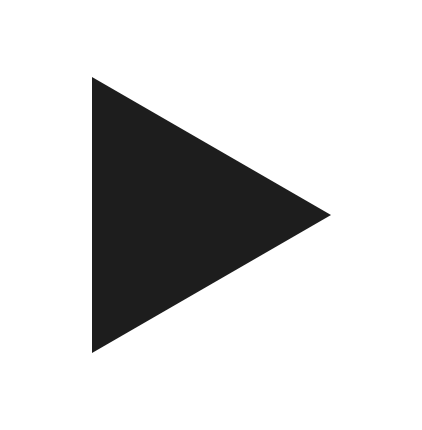 A taxi ride will cost approximately £12. You can also take the beautiful under cliff walk into the City! There are also buses that run East so that you can explore the Sussex Heritage Coast. 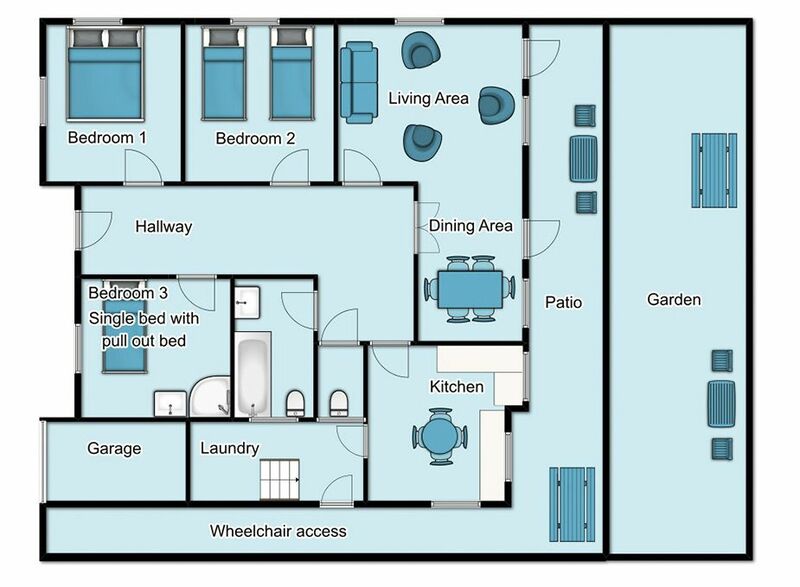 To the side of the bungalow is a slope that takes you round the back to a ramp into the dining room for wheelchair access. Please note the owner does not accept hen or stag groups. We welcome two small or one medium dog only. 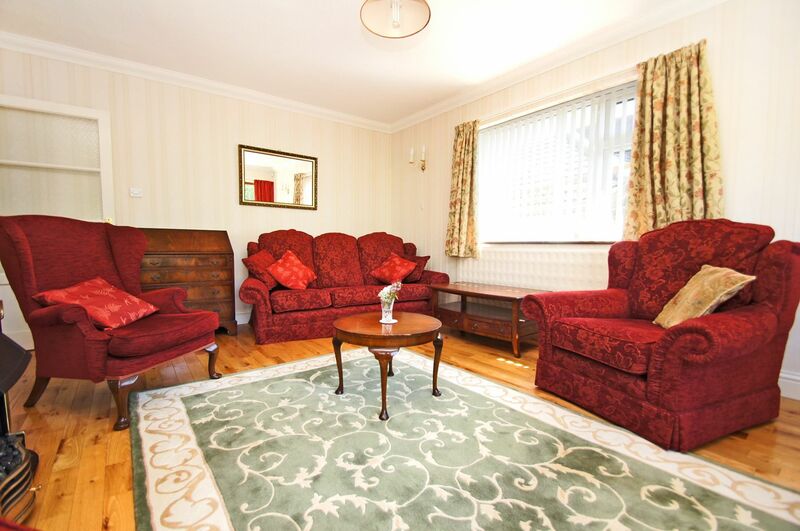 This property has a drive for off-street parking allowing up to 3 x small cars or 2 larger cars.